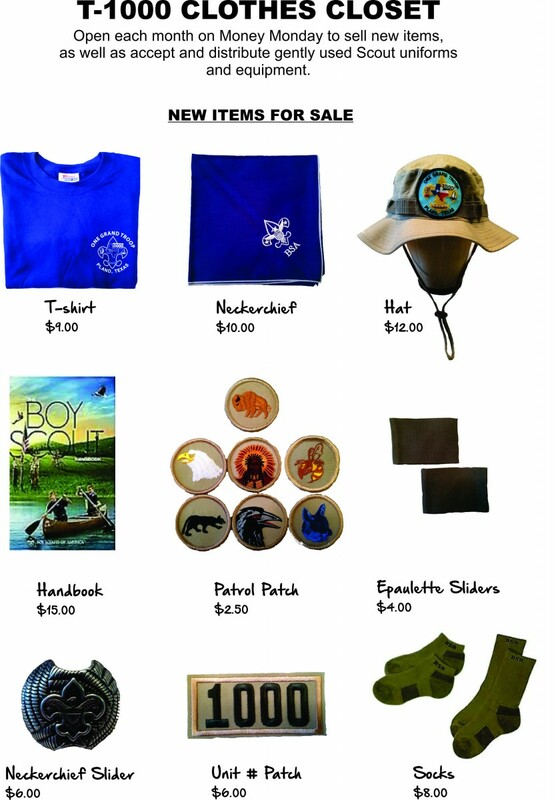 T1000 Clothes Closet is open every month on Money Monday to sell new items, as well as accept and distribute gently used Scout uniforms and equipment. Here’s the list of Clothes Closet items for sale. We’re now selling socks for $8 a pair. We have a selection of sizes in the crew and ankle lengths. We carry regular and dry-fit t-shirts. Same price.